There has been a lot of activity in the anticoagulant arena over the past year. Dabigatran (Pradaxa®), approved in October 2010, became the first orally available anticoagulant contender to compete with age-old warfarin, at least in the atrial fibrillation market. While dabigatran, a direct thrombin inhibitor, offers some advantages over warfarin, such as more predictable pharmacology (ie., minimal potential for pharmacokinetic, life style or dietary interactions or genetic variability), easier dosing options and little or no need for monitoring in most patients, it is still far from the perfect oral anticoagulant. Stomach upset and the requirement for b.i.d dosing threaten compliance and, in this case, poor compliance can result in treatment failure and thrombotic events. Conversely, in the case where the anticoagulant causes hemorrhage, as all anticoagulants can do, there is no antidote to turn to, like vitamin K (warfarin) or protamine (heparin). Enter Xarelto® (rivaroxaban), an oral Factor Xa inhibitor approved in July 2011 for prevention of DVT following orthopedic surgery. Much like Pradaxa, Xarelto has more predictable pharmacology than warfarin and no requirement for monitoring. One potential advantage it offers over Pradaxa is once daily dosing. It is also less likely to cause GI distress; that's a big plus for compliance. So far, so good, right? Not so fast. Xarelto, unlike Pradaxa, is cleared through the cytochrome P450 system (CYP3A4) and, therefore, the possibility for drug interactions could complicate therapy. There is also no specific antidote if hemorrhage occurs. On September 8, 2011, an FDA advisory committee recommended approval of rivaroxaban (Xarelto – Janssen Pharmaceutical / Johnson & Johnson) for stroke prevention in patients with atrial fibrillation (Afib). While this is good stroke prevention news for patients with Afib, it is important to note that, at this point, FDA has not approved rivaroxaban and it is not bound to follow the advisory committee’s recommendation. For more information, click here. Rivaroxaban was approved in July 2011 for patients with total hip or knee replacement to prevent DVT/PE. Rivaroxaban is one of several new oral anticoagulants (blood thinners) developed in the last several years as an alternative to warfarin for the treatment of Afib. Dabigatran (Boehringer Ingelheim) is FDA approved and Apixaban (Bristol-Myers Squibb/Pfizer) study data will be submitted to FDA for review. The skin condition psoriasis may increase the risk of stroke and atrial fibrillation, a condition in which the heart beats irregularly, a new Danish study says. In some cases, patients with psoriasis had nearly 3 times the risk of experiencing these conditions compared with people without psoriasis. 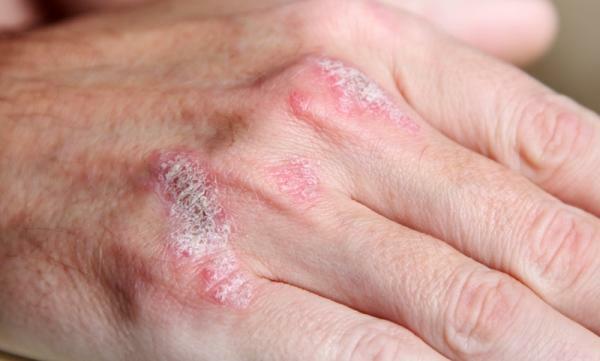 The risk was greater in patients with severe psoriasis. Do You Have Psoriasis? What The Doctor Is Not Telling You! Suffering With Psoriasis? Don't Wait. Get Help Here Today! The findings add to a growing body of research linking psoriasis with heart and blood vessel problems, including an increased risk of heart attack and death from cardiovascular disease. "In recent years, psoriasis has certainly taken the step from a disease affecting appearance to a systemic disease and cardiovascular risk factor," said study researcher Dr. Ole Ahlehoff, a cardiologist at Copenhagen University Hospital Gentofte. Patients with psoriasis should be monitored for indicators of cardiovascular disease, including heart arrhythmias, Ahleoffsaid. And these patients may be candidates for interventions that will reduce cardiovascular disease risk, including lifestyle modifications, such as quitting smoking and getting more exercise, and in some cases, medications, Ahlehoff said. Future studies should investigate whether treating psoriasis reduces patients' cardiovascular disease risk, he said. Psoriasis is common and causes skin redness and irritation, according to the NationalInstitutes of Health. In those with the condition, skin cells rise to the skin's surface too quickly, which doesn't leave enough time for the old skin cells to fall off, leading to build up of dead skin cells. The condition may be triggered by abnormal signals from the body's immune system. Ahlehoff and colleagues counted the cases of atrial fibrillation and ischemic stroke in the entire adult and adolescent population of Denmark — about 4.5 million people — from 1997 to 2006, using a national database. An ischemic stroke occurs when a blood vessel to the brain becomes blocked. The researchers identified about 36,700 patients with mild psoriasis and about 2,800 with serve psoriasis during that time period. Patients younger than 50 with psoriasis had about a 3-fold increased risk of atrial fibrillation, and a 2.8-fold risk of stroke, compared with those who didn't have psoriasis. Older patients and those with mild psoriasis had a smaller, but still significant, increase in their risk of stroke and atrial fibrillation. The results held even after the researchers took into account factors that could affect the findings, including age, gender, medical treatment and procedures, and level of income. Psoriasis patients are thought to be at increased risk for cardiovascular disease for two reasons, said Dr. Robert Kirsner, a professor of dermatology at the University of Miami Miller School of Medicine, who was not involved with the new study. One is that, as a group, they tend to have more cardiovascular risk factors, including obesity, smoking and high lipid levels. The other is that an increase in inflammation in the body links the conditions, Kirsner said. Psoriasis is a chronic inflammatory disease, or a condition in which the immune system is in a constant state of alert, Ahlehoff said. This type of inflammation is also thought to play a role in stroke and atrial fibrillation, Ahlehoff said. Kirsner said the study provides additional support for inflammation as being a factor in psoriasis that increases patients' vascular disease risk. 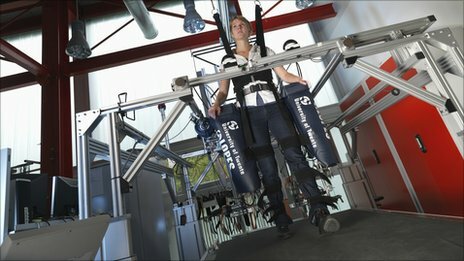 Scientists in the Netherlands are using robotic legs to try to improve the movement of stroke patients. The prototype device is called the Lower-extremity Powered ExoSkeleton, or LOPES, and works by training the body and mind of a patient to recover a more natural step. The machine is also being tested on spinal injury patients who have recovered some restricted movement in their legs. It is hoped a commercial version could be made available to rehabilitation centres around the world as early as next year. Feedback mechanism LOPES has been developed by engineers at the University of Twente in Enschede in the Netherlands over several years. Designed for the rehabilitation clinic, it is not a mobile device but supports the patient as they walk on a treadmill. It can do all the walking for the patient, or it can offer targeted support in either one leg or with one element of the walking process. The machine can also detect what the patient is doing wrong. "For instance, some people cannot lift their foot up appropriately," explains Dr Edwin van Asseldonk, who is working on the project. "What this device does is it senses that the foot is not lifting properly. "It then compares it with a reference pattern and then exerts a force or torque to assist that subject in doing it." PARADISE -- It's been nearly two years since Jim Livingston had a stroke and was treated at Feather River Hospital. While he's made progress at recovering, he still speaks haltingly. The stroke also caused him to lose his ability to read and write although that has come back a little, he said in a phone interview this week. ST. LOUIS, MO, Sep 22, 2011 (MARKETWIRE via COMTEX) -- A new study, which Solae provided product for, will be published in the November 2011 issue of Stroke that reveals some promising data on the positive effects of soy protein reducing the progression of clogged arteries in women who were within five years of menopause. This study was the largest and longest randomized controlled human study conducted to-date that directly investigated the efficacy of isolated soy protein consumption on the progression of atherosclerosis (lipid deposition in the artery walls). 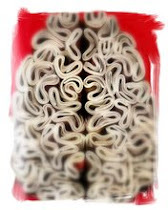 Scientists have detected some 70 genes which could help stroke patients to recover. A new discovery could aid the recovery of individuals who have experienced a stroke or spinal cord injury. Aug. 17, 2011 -- Two noninvasive imaging tests may help determine which people with a narrowing of arteries in the neck will need surgery to reduce their future risk of stroke, a study suggests. A narrowing of the carotid arteries in the neck is known as asymptomatic carotid stenosis (ACS). "Asymptomatic" means the patient does not experience any symptoms. Carotid arteries in the neck deliver blood to the brain. They typically become narrowed when plaques build up in the inner lining of the arteries. There is some uncertainty within the medical community on how to best identify people with ACS who are at high risk for stroke and need surgery or stenting to open their carotid arteries as opposed to treatment with medication. In a two-year study of 435 people with severe ACS, researchers used ultrasound to assess the quality and composition of the plaque in the carotid arteries and a Doppler ultrasound test to look for the presence of tiny blood clots or particles called microemboli that may break off from the arteries and travel to the brain, causing stroke. The former premier has been battling progressive aphasia, a form of dementia which affects his speech, reading and writing. However, they are happy to have their support for Mar known. 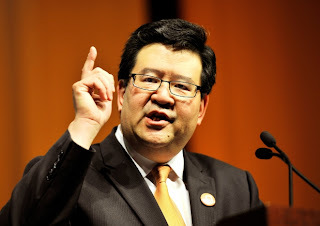 Mar is pleased Klein is backing his campaign, a spokesman said. Getty, meanwhile, said backing Horner was a natural choice given the long relationship between the families.